PokerStars is on the verge of expanding its powerhouse online poker platform to Pennsylvania due to the recent legalization of iGaming in the state. PokerStars is currently leading the online poker market in New Jersey and is poised to be one of the first providers to enter Pennsylvania, most likely carrying over similarities from the highly successful NJ platform. Players can expect large Welcome Bonuses just for signing up or depositing, along with the opportunity to reload their account through future monthly promotions. 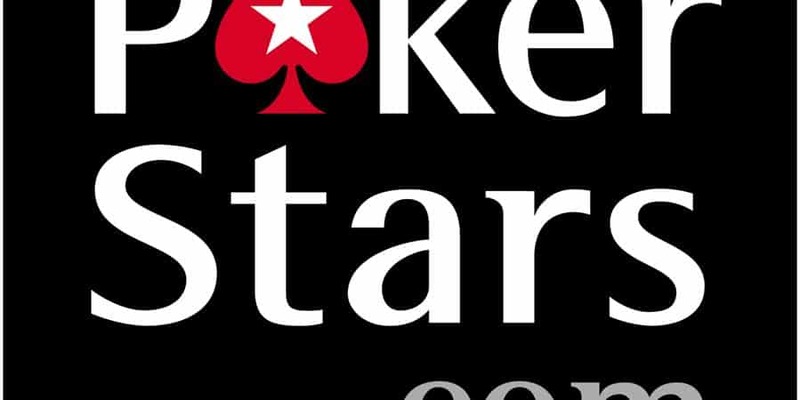 The PokerStars simple and steady software that allows for plenty of customization is also a strong advantage when just starting out in a new market. The PokerStars in-house team has done tremendous work in implementing new styles and varieties in online poker game types to have the largest assortment in the US market. There is no doubt Pennsylvania players will also get a massive selection. Read on to get the full look on what to expect for PokerStars Pennsylvania! The promotions on the new PokerStars in Pennsylvania launch is certain to contain an excellent Welcome Package for new players. You can expect two bonuses for both registering on the platform, as well as a match bonus on your first deposit. Aside from the Welcome Bonuses, PokerStars will most likely offer a Reload Bonus, which will either match or partially match a deposit for players who have already been playing on the platform. As for the sign up bonus, PokerStars PA well at least give out a similar offer as seen in New Jersey of $30 in bonus cash after a mere $20 deposit. The $30 will most likely also include a portion dedicated to Spin and Go Tournament tickets, with the New Jersey bonus currently around $10 toward Spin and Go tickets. The deposit bonus will likely be a 100% match up to around $600. However, with the online poker market just starting in Pennsylvania, you can anticipate a potentially higher amount of bonus cash to get the platform rolling. You can definitely expect that there will be unlocking requirements for withdrawing bonus cash or any money won through bonus cash wagers. Typically, you will have to earn 100 VIP Player Points to withdrawal the bonus cash in $10 chunks. Players currently earn 5.5 VPPs for every $1 spent on either tournament fees or cash game rakes. PokerStars also allows you to make two more deposits and four months to clear the entire bonus for cash out. PokerStars is bound to have a Pennsylvania Championship of Online Poker tournament as things get rolling in the newly legalized state. You can expect the series of tournament events to model the New Jersey Championship of Online Poker or the NJCOOP, which currently offers one of the biggest payouts within the US at $1.2 million in prizes throughout its 46 tournaments. Sunday is the biggest day of the week for online poker, and there is no chance that will change in Pennsylvania. Look for all of the PokerStars PA main events to happen on Sundays, usually some time between 6pm and 8pm every week. The buy ins range from under $5 to $250, but equally reflect on the payout, which can be worth $10,000 and higher. Throughout the week on PokerStars, you can typically play in several satellite events that award entries into the larger Sunday tournaments for a fraction of the entry price. Spin and Go tournaments are one of the most popular tournament options that PokerStars offer. The PokerStars Pennsylvania Welcome Bonus is likely to be similar to the one seen on PokerStarsNJ, which includes $10 bonus money for Spin and Go Tournaments. These tournaments are similar to the well known Sit N Go style due to the speed of the game and small number of players you go up against. You start with a rather low buy in that starts at $1. Your prize pool is determined at random through a multiplier spin feature and you automatically win if the spin lands on any of the three top prize sections. The multiplier spin goes all the way up to 1000 times your current buy in. Second place and third place winners also take home prizes that range from 8% to 10% of the whole prize pool. As more players join the PokerStars Pennsylvania platform, there will likely be a selection of Multi Table Tournaments. Multi Table Tournaments will always have bigger payouts and possibly smaller buy ins due to having more overall players in the tournament. As you play and progress through the tournament, you will go up against winners of other tables until you reach the top or run of out of chips. Unlike Sit N Go tournaments where the game speed is quite fast, Multi Table Tournaments take a lot longer to complete. Daily tournaments are the staple array of smaller tournaments to choose from throughout the week. Pennsylvania players will have quite of few variations of the most common Texas Hold’em and Omaha game styles to say the least. PokerStars currently has the largest selection of online poker tournaments in New Jersey, and with its sights set on Pennsylvania, you can expect a similar set of daily tournaments for the PA market. You’ll definitely see a mix of KO’s, Turbos, and Change Up tournaments. As for cashing out, one of the more popular options is through the Instant eCheck, which includes no fees and has a 3-10 business day window to clear. Another no fee method is the Online Play+ Card, which transfers funds instantly and acts like a Discover Card outside of the platform. Neteller and Skrill are also very fast when withdrawing funds with a time frame of about 24 to 72 hours, but may have fees when transferring. Is PokerStars Legal in Pennsylvania? In late October of 2017, Pennsylvania Governor Tom Wolf signed the H271 Internet gambling bill to fully legalize online poker in the state. The Pennsylvania Gaming Control Board will still need to finalize a regulations and award online gaming licenses Although there is a 90 day window for online poker providers to apply for a license, current PokerStars CFO Brian Kyle expressed excitement for the more than probable entry into the PA online poker market. PokerStars Pennsylvania will have to find a brick and mortar casino within the state to successfully achieve a license to operate. It currently holds an online poker license in New Jersey through Resorts Casino, which is managed by Mohegan Sun. With Mohegan Sun owning a land based casino in Pennsylvania along with other interested competitors, PokerStars will have plenty of partnership options. The software on PokerStars is currently a model for competitors in both the New Jersey and global online poker industries which proves promising for the future Pennsylvania client. Though the aesthetic is not the sleekest, the smooth running platform that allows players to customize multiple features is what players are looking for in an online poker client. The customization lets you adjust the platform based on different themes including your own player profile picture. The design of the PokerStars platform demonstrate above average graphics which should only improve with a Pennsylvania launch. PokerStars platform is well known for implementing the largest selection of online poker game types due to an excellent in house design team under the poker world leading Stars Group. At the forefront of the Pennsylvania legalization of online poker, the PokerStars PA software is certain to not disappoint. The customer service team at PokerStars has always been highly responsive in email queries and helpful through phone support. Now, with a new implementation of live chat support, Pennsylvania online poker players will be able to reach out for help and receive it instantly on the PokerStars platform. Another helpful feature that will be on the PokerStars Pennsylvania platform will be the Frequently Asked Questions (FAQs) page which answers the most common issues players have with online poker. Though there may be some new quirks within PokerStars PA, on average, players find the in client live chat and four hour email responses to be more than sufficient. As the online poker market leader in New Jersey, PokerStars is most likely to model its new Pennsylvania platform to be very similar to that of PokerStarsNJ. Players can expect an almost identical software that is stable, customizable, and brings in a huge variety of game types. A comparable set of promotions including the Welcome Bonuses are also highly probable. The tournament selection is set to be small at first but could ramp up rather quickly depending on the number of sign ups within early months. For those who have been waiting for online poker in Pennsylvania, PokerStars will certainly be one the top choices given its success in New Jersey. "PokerStars Pennsylvania will soon be up and running. Get all the insights and information before its released here and get excited for a multitude of poker tournaments and live games."